It is made from velvet. Size of the product: (W) 19.5 cm x (L) 18 cm. 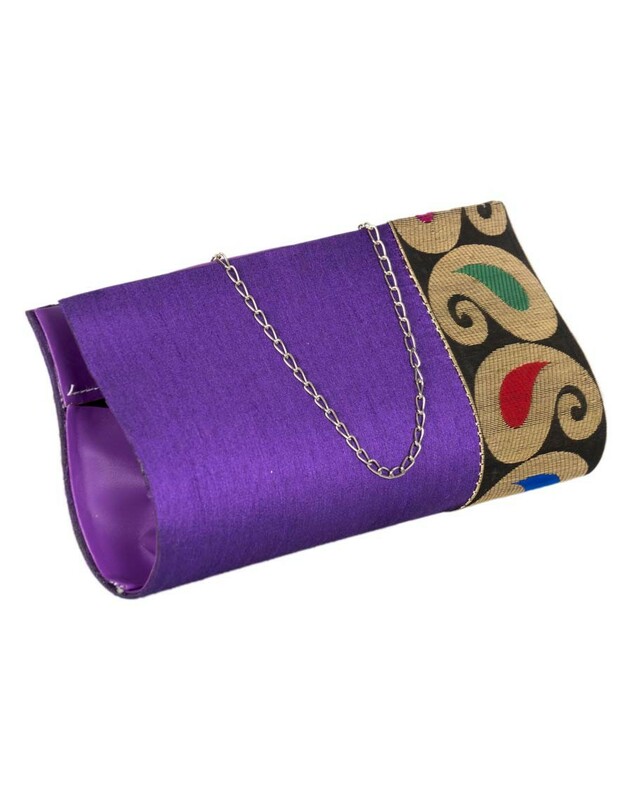 This exquisite designer clutch is made from pure satin material. There is also a zipper for securing the items that are carried inside the clutch. Decorated with beautiful border and an ergonomic handle, this clutch can be carried for ethnic wear. This is also a perfect gifting option for weddings, engagements or birthday parties.